A salad so tasty, your mid will demand you pool them four tangoes. Tangoes are an essential starting item for most heroes and laning strategies in DotA 2, so a The International Viewing Party would hardly be complete without it. This salad looks amazing, is easy to put together and serves as a healthy choice at a videogame-themed snack table. Despite blowing the minds of a redditor or two, balling kiwis and melons is surprisingly straightforward. To make this dish look even more like a tango, I served 3-4 fruit balls on small curly leaves like frisée leaves. I actually don’t have a melon baller, so I used a rounded tablespoon measure! Worked really well and I didn’t have to go out and buy a single-purpose tool. 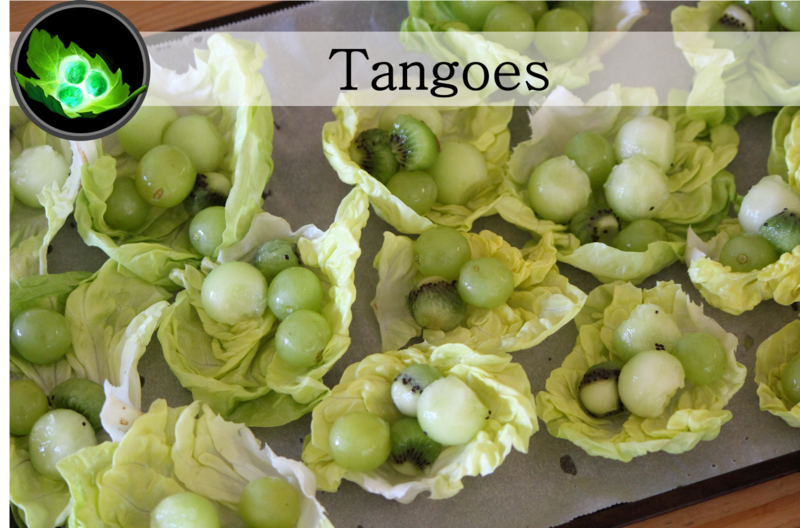 Tangos can also be served from a serving dish instead of on individual leaf cups. Individual serving tangoes: Separate each leaf. Lay out each leaf attractively on a large serving platter. Large serving dish: Separate each leaf. Line a large salad bowl with the leaves, leaving the tips poking over the edge of the bowl. Slice your melon in half and scoop out the seeds and stringy bits. Using the melon baller, scoop out round balls. Store the melon balls temporarily in a large pot or bowl. Slice each kiwi in half, and then use the melon baller to create kiwi balls. You should be able to get 2-3 balls per kiwi half, depending on the size of your utensil and your kiwis. Add the kiwi balls to the melon balls. 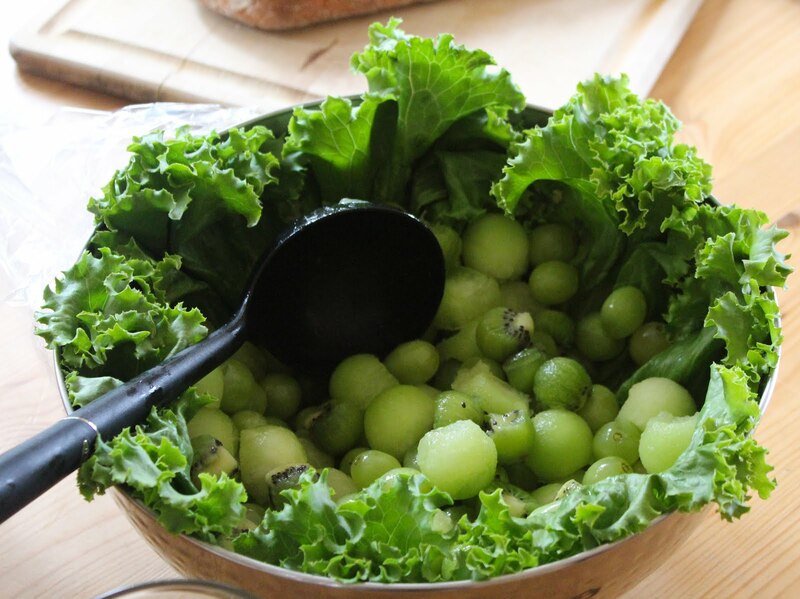 Pluck each grape off the stem and add to the melon balls and kiwi balls. It’s rare that a dish checks all the boxes of inexpensive, attractive, tasty and healthy. I enjoyed this dish at my TI5 Viewing Party, so I made it again – individual serving sizes this time – for my TI6 party. My only concern is the age old question of why Tangos have four charges but the image only shows three little glowing balls?